There are two versions of ceiling pendant and each of these Bistro-style pendants is simply perfect for classical design schemes. 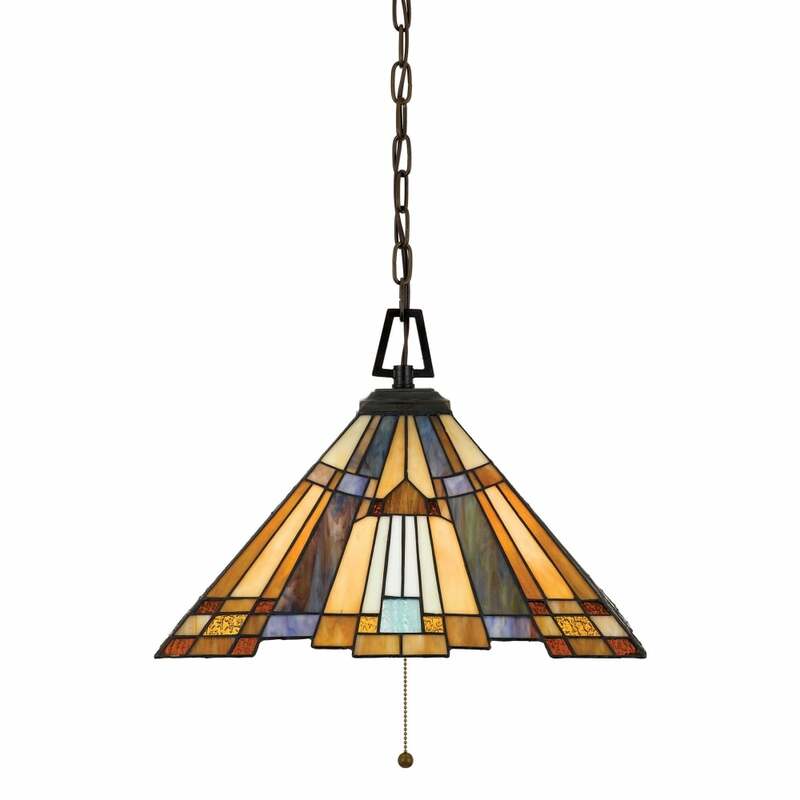 Crafted from 248 pieces of art glass, the magnificent art-deco designs take the form of a pyramid, normal or inverted, suspended from heritage-style chain in Valiant Bronze. Separately, the Bistro-style mini-ceiling pendant is simply perfect for classical design schemes. Crafted from 208 pieces of art glass, the magnificent art-deco design takes the form of a pyramid, suspended from a rod in Valiant Bronze. Matching wall lamps, floor and table lamps and chandeliers available.